A Grammy award winner, Doc has made more than 30 albums–from big band to jazz-fusion to classical. Two critically acclaimed Telarc CDs with the Cincinnati Pops Orchestra showcase his multifaceted talents from Bach to ballads. "BEST JAZZ INSTRUMENTAL PERFORMANCE – BIG BAND"
A Grammy Award winner, Doc has made more than 30 albums–from big band to jazz-fusion to classical. Two critically acclaimed Telarc CDs with the Cincinnati Pops Orchestra showcase his multifaceted talents from Bach to ballads. The Very Best of Doc Severinsen reprises fifteen of Doc’s signature pieces. His other recordings include Unforgettably Doc with the Cincinnati Popson Telarc, and the Grammy nominated Once More With Feeling on Amherst. He received a Grammy Award for “Best Jazz instrumental Performance – Big Band” for his recording of Doc Severinsen and The Tonight Show Band-Volume I.
Severinsen’s accomplishments began in his hometown of Arlington, Oregon, population: 600. Carl H Severinsen was born on July 7th, 1927, and was nicknamed “Little Doc” after his father, Dr. Carl Severinsen a dentist. Little Doc had originally wanted to play the trombone. But Doc Sr., a gifted amateur violinist, urged him to follow in his father’s footsteps. The Doc Jr. insisted on the trombone, which turned out to be unavailable in tiny Arlington’s music store. And so, a trumpet it would be. A week later, with the help of his father and a manual of instructions, the seven-year-old was so good that he was invited to join the high school band. At the age of twelve, Little Doc won the Music Educator’s National Contest and, while still in high school, was hired to go on the road with the famous Ted Fio Rito Orchestra. However, his stay with the group was cut short by the draft. He served in the Army during World War II and following his discharge, landed a spot with the Charlie Barnett Band. When this band broke up, Severinsen toured with the Tommy Dorsey, then, the Benny Goodman bands in the late 40’s. Today, Doc has not lost his flair for the outrageous fashion statement or his trademark wit. But his gregarious nature has never interfered with the fact that he has been one of the greatest trumpeters and musicians of the last 60 years, respected in the worlds of classical music, jazz, big band, and now even world music. 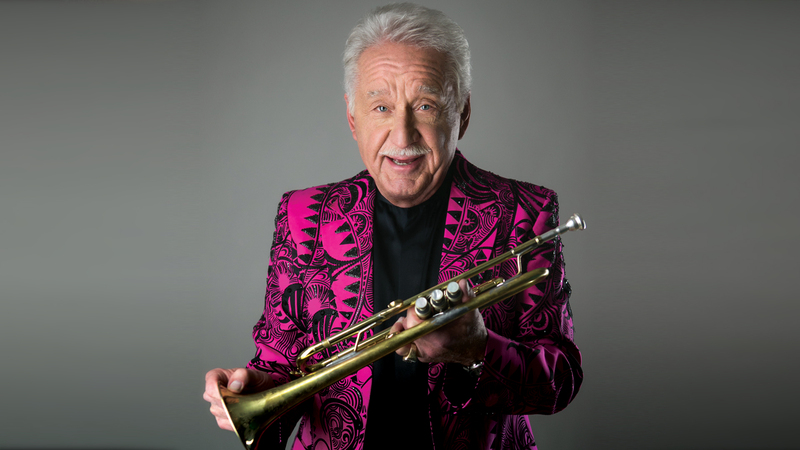 In the end, Doc Severinsen has transcended his celebrity and rejoiced in his remarkable ability to simply play his trumpet as well as he can. This has proven to be good enough for the millions of people who count themselves his fans.